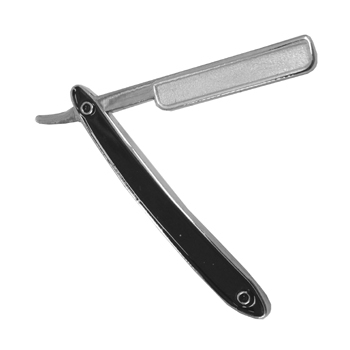 For the Barber who appreciates the value of the symbol which has represented their profession for centuries. The Marvy family of Barber Poles offers a wide range of models to fit your shop’s budget and space. All Marvy Barber Poles incorporate multi-faceted reflector backs, are made of the finest materials, weatherproof, incorporate maintenance free motors and are built to last a lifetime. 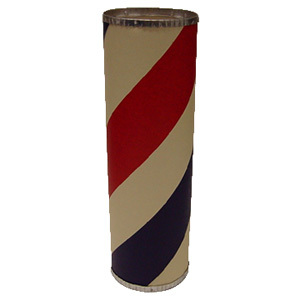 Note: All Barber Poles are made in the U.S.A. and are made to order. This is the smallest pole in our line. 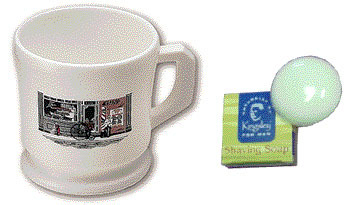 Use individually or in multiples inside or outside your shop to proudly display the symbol that is recognized by millions of people all over the world. Great size for studies or dens to personalize your space. 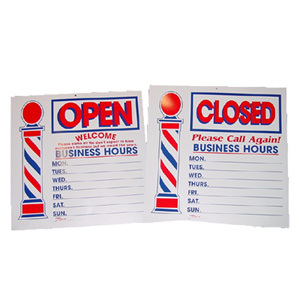 A Marvy Barber Pole gives you more bang for your buck than any other advertising medium. 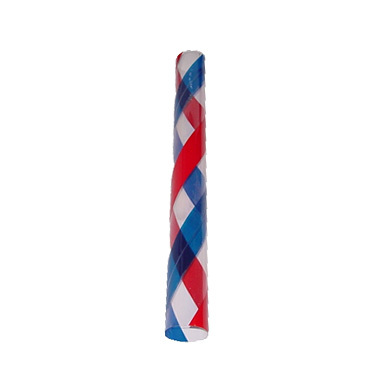 This model includes Revolving Red, White & Blue Inner Cylinder, and Light inside inner cylinder. Set this beauty in your window and display your symbol for instant recognition. 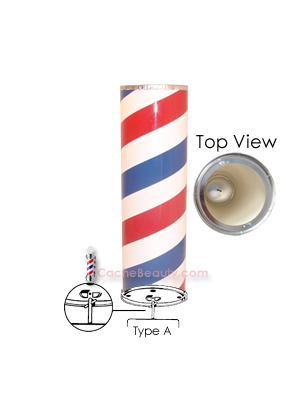 Built to the same high standards as all Marvy Barber Poles, This model includes Revolving Red, White & Blue Inner Cylinder, Lighted Glass Globe and Light inside inner cylinder. * All barber poles are delivered for permanent wired installation (electrician service may be required) or you may request the optional plug-in cord and inline switch. * All barber poles are delivered for permanent wired installation (electrician service may be required). 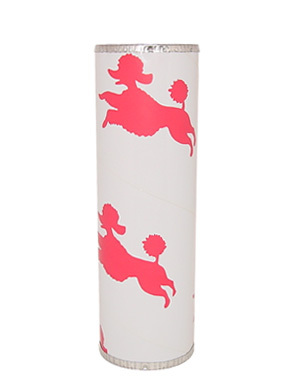 Marvy Part: Plastic Inner-Cylinder "Poodle" * 3.25" x 10"
Set this beauty in your window and display your symbol for instant recognition. Built to the same high standards as all Marvy Barber Poles, this model includes an oak finished base. 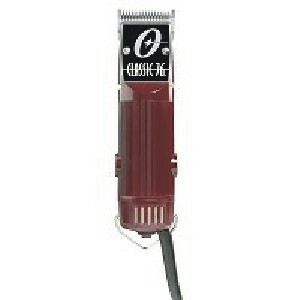 The big brother to the Model 55, the additional 4" in height gives the Model 77 an attractive taller and slimmer look. 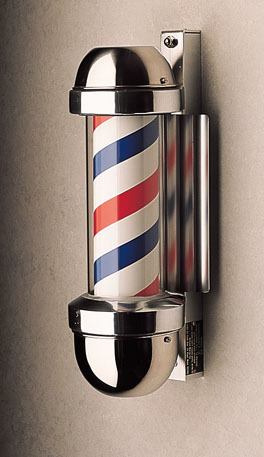 Isn't it time to brighten up your shop and attract more customers with a genuine Marvy Barber Pole. 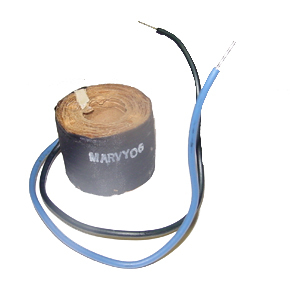 This Conversion Kit will convert Marvy Barber Pole from 110 Volt to 220 Volt for a one-light model. * This is a MUST for European Purchase. Can be removed and reused many times. 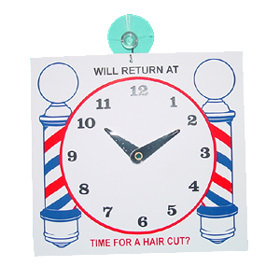 * Measures 16" x 16"
* "Will Return At" & "Time For A Hair Cut?" 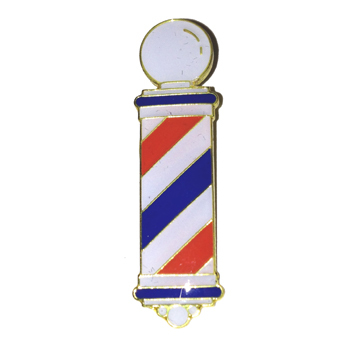 * Measures 7" x 7"
* Presented in a black & clear case: 1-5/8" x 1-5/8" x 5/8"
"Show your profession anywhere by wearing this exquisite lapel pin." * Presented in a black and clear case: 1-5/8" x 1-5/8" x 5/8"
Every Marvy sanitizing jar has a lift assembly made of surgical quality stainless steel which will never rust or corrode. 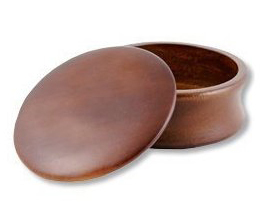 The lid has an ergonomically shaped knob for easy gripping. 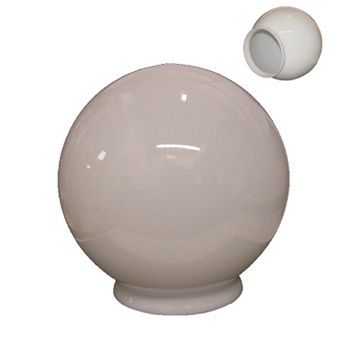 Extra strong, heat-resistant jar has the look of hand-blown glass. Takes up less than 3-1/2" of counter space. Comes with a rubber, non-slip base. This jar is made from crystal-clear, unbreakable acrylic. Perfect for use where an unbreakable jar is preferred. Our new No. 8 Sanitizing Jar is manufactured of heavy wall crystal clear glass. 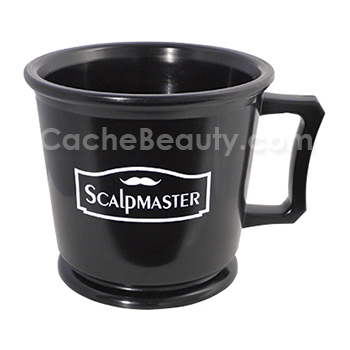 This classic sanitizing jar features a large 48 oz. capacity. Our most economical jar is crystal-clear Acrylic. 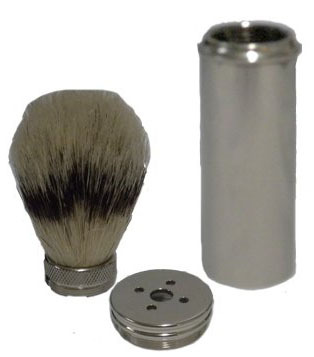 Features slim shape to conserve space, yet holds several combs, shears and razors. Use this jar when complete immersion of manicurists' implements is desired. Comes with a rubber, non-slip base. 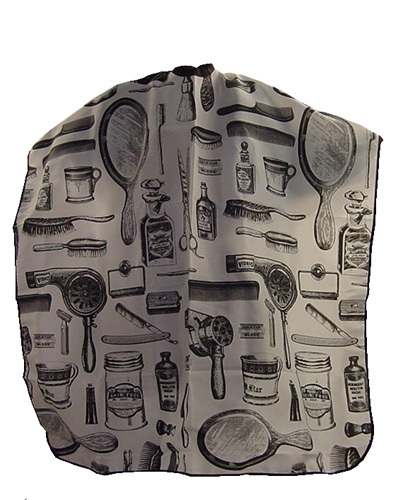 Specifically designed to hold manicurists' implements. 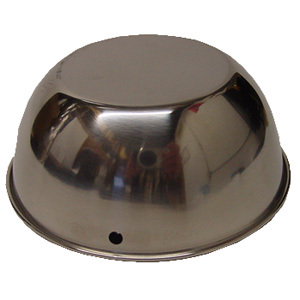 Comes complete with stainless steel top with non-slip knob. 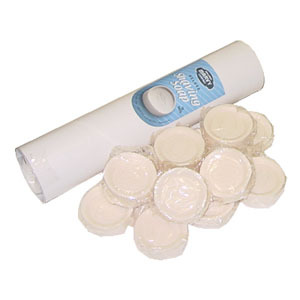 All Marvy Sanitizing Jars are individually packaged for your convenience. 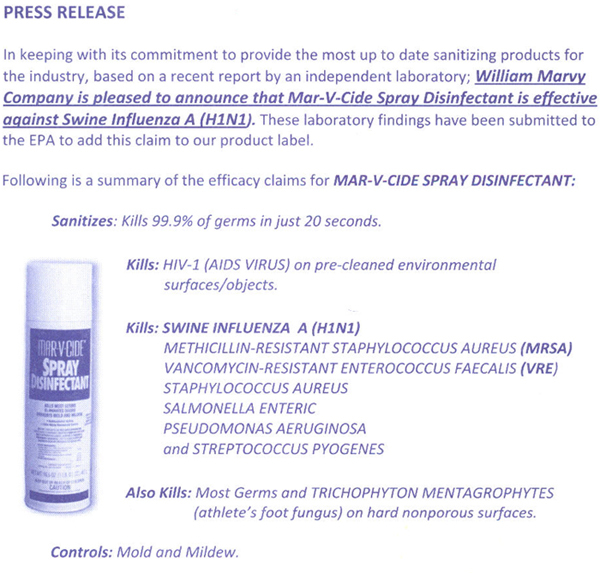 All Mar-V-Cide disinfectant products are produced under Marvy's careful supervision. All disinfectants are EPA registered and approved. 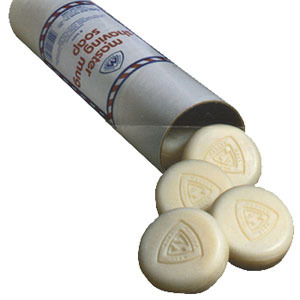 Kills the Aids Virus (HIV-1). Also kills "Athlete's Foot" fungi. Effective against Herpes Simplex Type 1 and 2. Contains rust inhibitor. 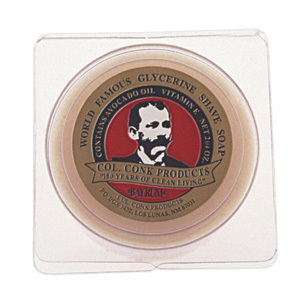 Available in 16 ounce and 1/2 gallon containers. Also available in convenient 16.5 ounce aerosol spray. EPA approved Mar-V-Cide is twice the concentration of other leading brands. 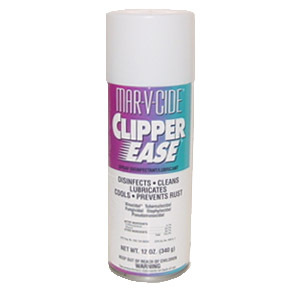 Using Mar-V-Cide will cut your disinfecting costs in half. Two ounces make one gallon of shop strength solution. 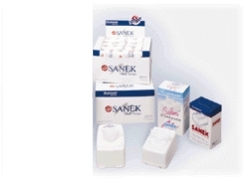 This hospital-grade, one-step cleaner provides broad spectrum protection. Tuberculocidal, Pseudomonacidal, Fungicidal, Staphylocidal, and virucidal. Controls mold and Mildew fungi. 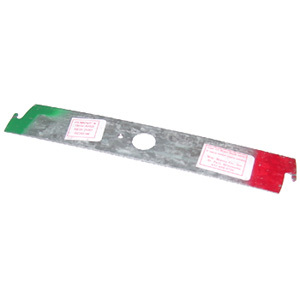 Can safely be used on both metal and plastic, without damage. Available in handy, metered 16 ounce dispenser bottle. One-half ounce makes one gallon of shop strength solution. A pint bottle makes 32 gallons of shop strength solution. 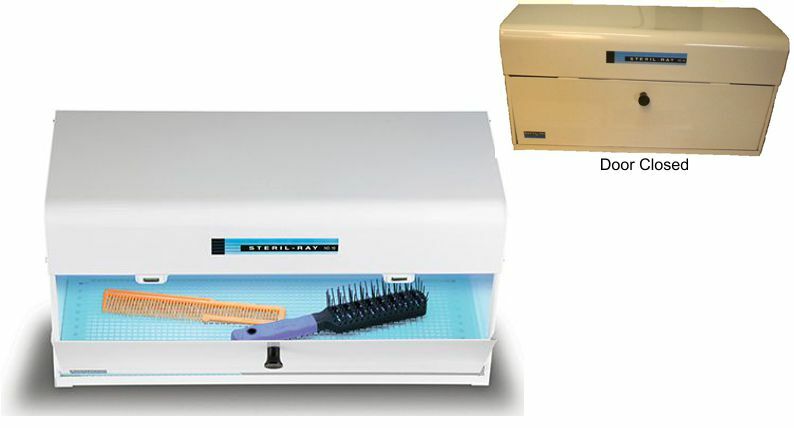 Combines wet sanitizing and dry implement storage with magnetic panel for easy storage of clipper blades, tweezers, shears, etc. 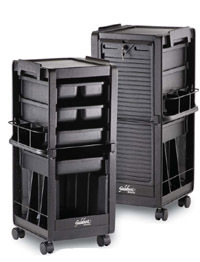 Three-tier base unit is 8" deep and 9" wide, and made of durable, high impact resistant plastic. 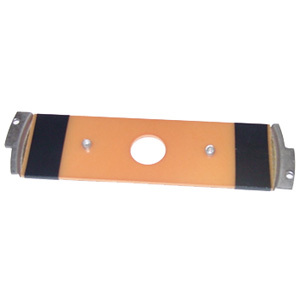 Lower tier specially designed for sanitization of clipper blades while still on clipper. Put on counter or mount on wall. One 16 ounce bottle of Mar-V-Cide is included. Note: To mount unit to wall, there are two holes in the back of the unit which will accommodate 2 - #10 Flat Head Screws (on 4" center, you will need to determine the length of screws by what type of wall you will be mounting on). Unit weights 6lbs. Meets AOAC germicidal spray products test standards for hospital disinfectants. 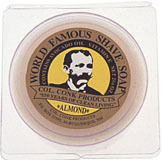 For use by hair stylists, barbers, animal groomers and veterinarians. 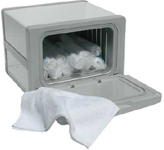 For over 35 years, the William Marvy Company has been committed to the highest quality sanitizing systems for barbers, beauticians and manicurists. 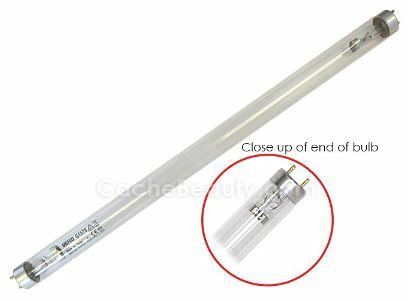 The G15T8 germicidal T8 lamp has a medium bi-pin base (two pins on both ends), a 1 inch diameter, and an impressive life rating of 8,000 hours. 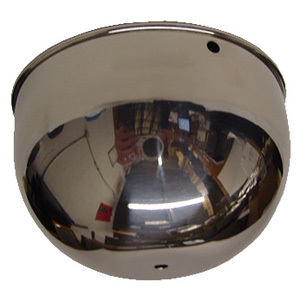 It has an ultraviolet output of 4.9 watts at a wavelength of 254 nm. 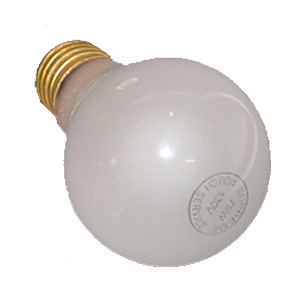 Measuring at 17.17 inches, this bulb is intended for use in sterilizing applications. This bulb should not be used for illumination purposes. 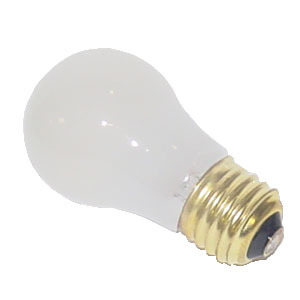 ** NOTE shipping on this bulb will be $ 19.95 and will require a signature on delivery. 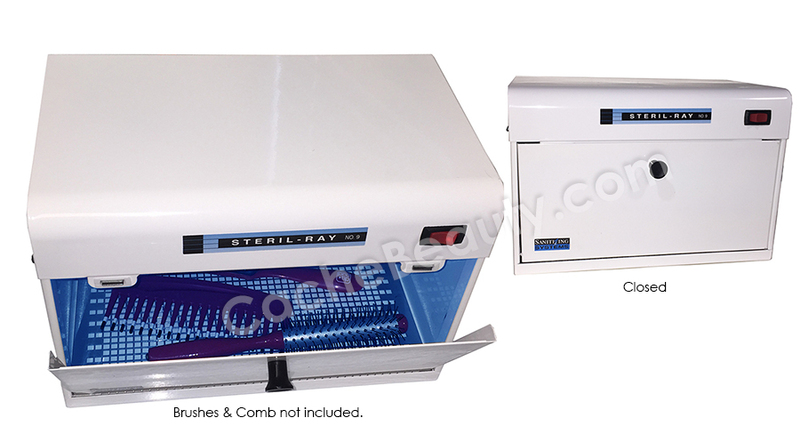 * Perfect size Steril-Ray sanitizer for manicurist and small salons. 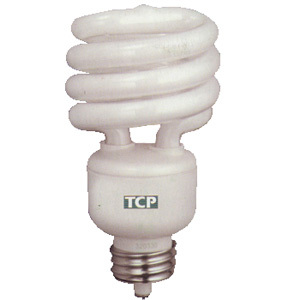 * This unit operates with two GTL3 Ultra-Violet Germicidal Bulbs. Effectively sanitizes implements where a counter top cabinet is inconvenient. Uses two GTL3 bulbs. Comes complete with mounting screws, line cord and an extra bulb. 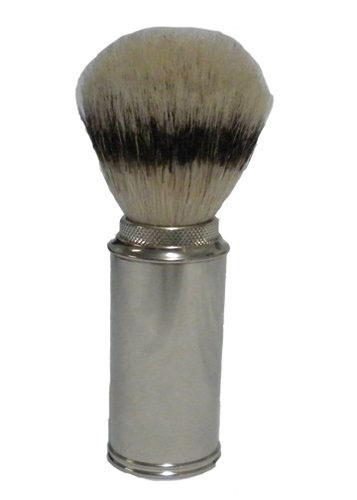 Silver Handle, Pure Boar Bristle. 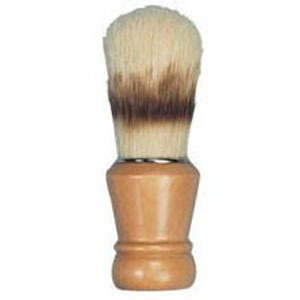 With Stand, Pure Boar Bristle. 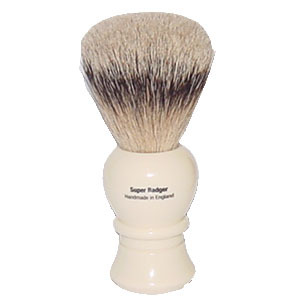 * In Use Overall Dimension 6" Tall, Bristle 1-3/4" Dia. Like all things metal the case will begin to rust if the brush is not allowed to dry. 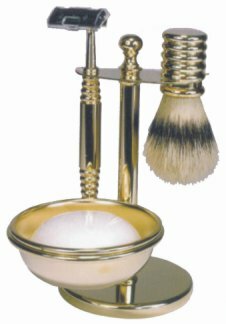 We highly recommend that whenever you reach your destination to open up the brush to allow it to completely dry!!! Do not boil the brush , it has already been sterilized. Rinse the brush thoroughly after use and remove all excess moisture. Leave in the open to Dry: never enclose a damp brush. 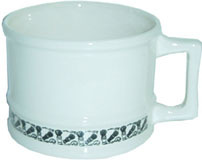 Bright, beautiful white mug. 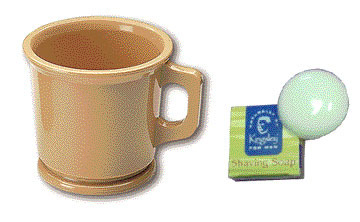 Unbreakable Plastic, easy to clean. With turn-of-the-century graphic. 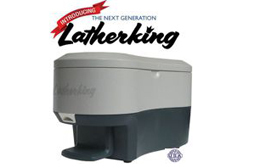 Constructed of durable plastic, impervious to hot water or soap. Unbreakable. The very best in working mugs. Unbreakable Rubber. Will not chip, crack, slip, or slide. 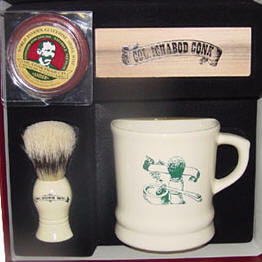 Shaving Brush #923, Mug (unbreakable plastic) and Bar of Soap as depicted on the box. 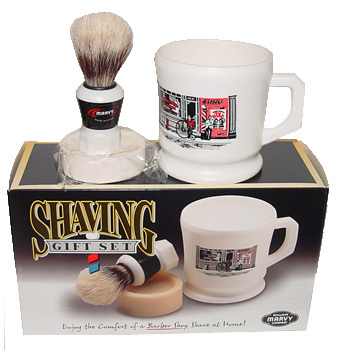 Using the Marvy Shaving Gift Set will surely be the highlight of your daily grooming needs! 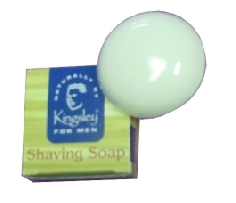 Featuring our Shaving Soap which contains moisturizers to soften your face and beard, for a smooth shave. 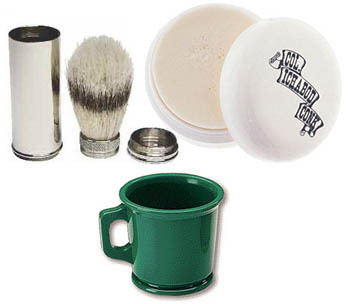 the Opal Shaving Mug is imprinted with turn-of-the century graphic. 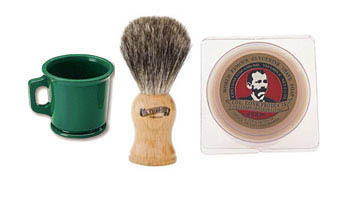 The Eterna Shaving Brush is made of 100% pure natural boar bristle. 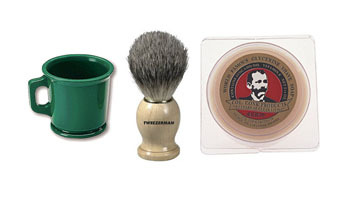 Enjoy shaving the way your father and grandfather did. 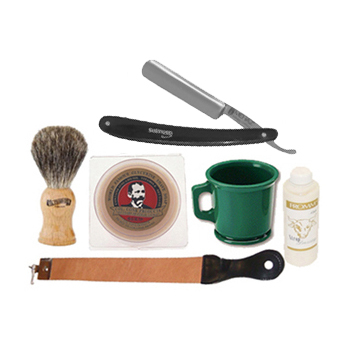 Enjoy the Comfort of a Barber Shop Shave at Home! 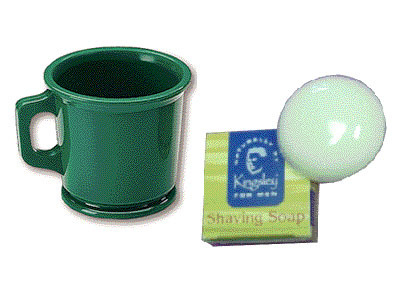 * The very best in working mugs. * Will not chip, crack, slip, or slide. 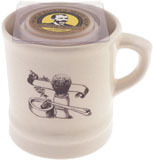 * Cowhide with handle.1.75" X 20"
* Canvas with handle.1.75" X 20"
- The very best in working mugs. - Will not chip, crack, slip, or slide. 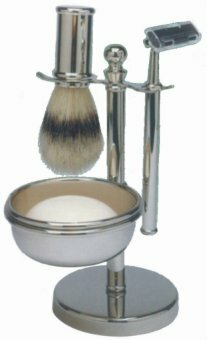 Pure bristle shave brush, razor with blade, shave soap and razor on a matching stand. 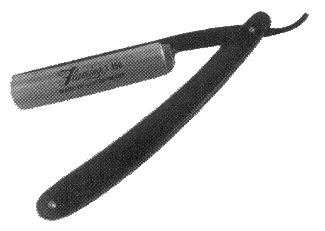 The razor uses Gillette Trac II blades available in most grocery stores. 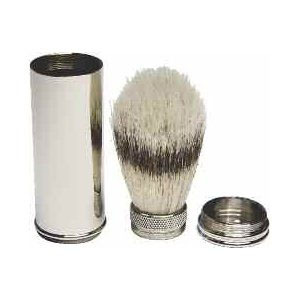 Pure bristle shave brush. 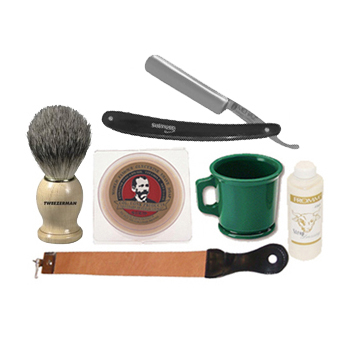 Razor with blade, shave bowl with soap. 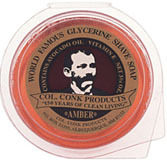 Long Handle Neck Duster, Individually boxed. 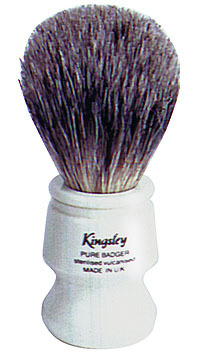 Stand-Up Goat Hair Neck Duster.